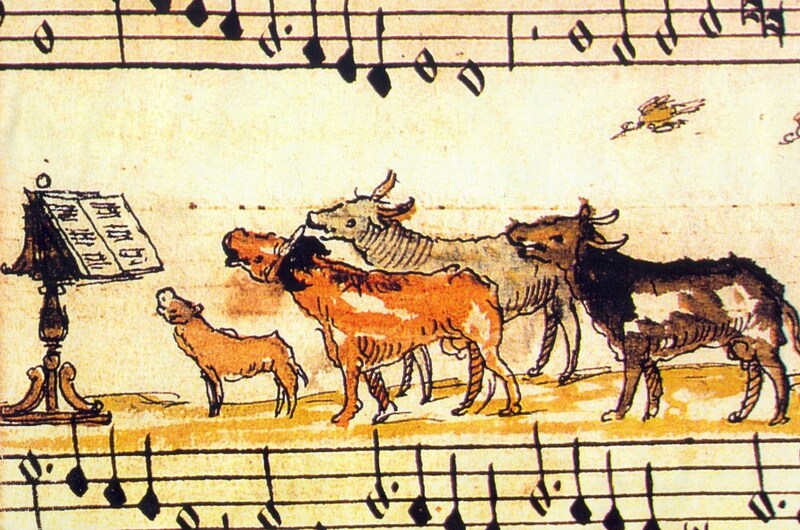 Songs about animals (literal, metaphorical, and magical) take centre stage in this tour of wild and unusual Renaissance vocal music. Animals and animal sounds were extremely popular musical subjects in the sixteenth century. Sometimes the result was subtle, like referring to a loved one in the guise of an animal pet name. It could also be clever and impressive: Clément Janequin’s efforts to realistically imitate sounds, like the bird songs in his ‘Le Chant des Oiseaux’, made onomatopoeic compositions all the rage across Europe. And sometimes it was downright silly, like the singing dog and cat in Adriano Banchieri’s ‘Contrapunto bestiale’, and Orlande de Lassus’s ‘Audite Nova!’ in which the singers catch, roast and eat a very naughty goose. Young people will find this concert a playful and accessible introduction to Renaissance music. Meanwhile, the metaphors, morals, and double entendres concealed within these seemingly innocent and whimsical pieces will charm the most sophisticated listener.